Duodenal ulcers, short-term. Adults: 800 mg at bedtime. Alternate dosage: 300 mg q.i.d. 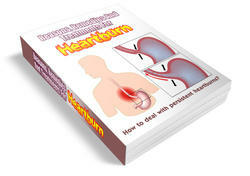 with meals and at bedtime for 4-6 weeks (administer with antacids, staggering the dose of antacids) or 400 mg b.i.d. (in the morning and evening). Maintenance: 400 mg at bedtime. Active benign gastric ulcers. Adults: 800 mg at bedtime (preferred regimen) or 300 mg q.i.d. with meals and at bedtime for no more than 8 weeks. Adults: 300 mg q.i.d. with meals and at bedtime up to a maximum of 2,400 mg/day for as long as needed. Adults: 800 mg b.i.d. or 400 mg q.i.d. for 12 weeks. Use beyond 12 weeks has not been determined. 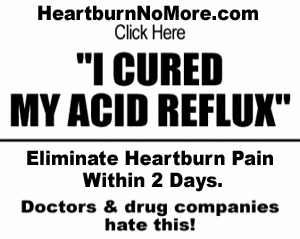 Heartburn, acid indigestion, sour stomach (OTC only). 200 mg with water as symptoms present up to b.i.d. Dyspepsia. Adults: 400 mg b.i.d. Adults: 400-600 mg 60-90 min before anesthesia. Hospitalized clients with pathologic hypersecretory conditions or intractable ulcers or those unable to take PO medication. Adults: 300 mg IM or IV q 6-8 hr. If an increased dose is necessary, administer 300 mg more frequently than q 6-8 hr, not to exceed 2,400 mg/day. Prophylaxis of upper GI bleeding. Adults: 50 mg/hr by continuous IV infusion. If CCR is less than 30 mL/min, use one-half the recommended dose. Treatment beyond 7 days has not been studied. Adults: 300 mg IV 60-90 min before induction of anesthetic.